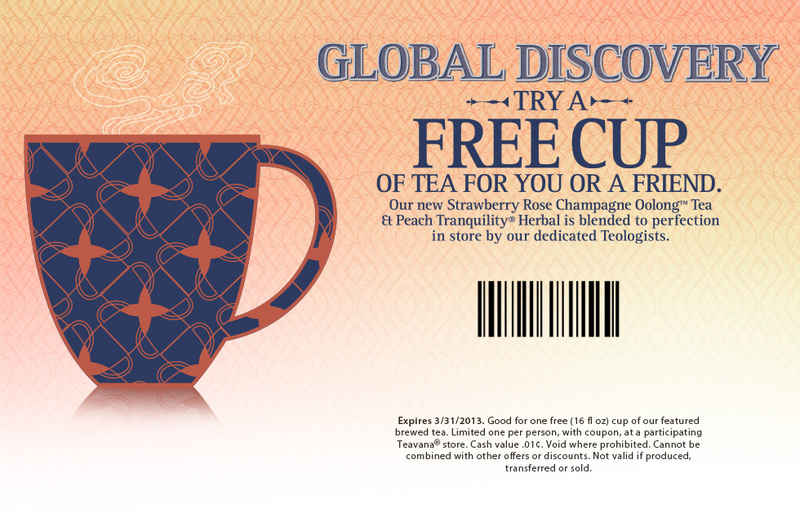 Present this coupon at a Teavana this month and receive a free 16-ounce cup of Strawberry Rose Champagne Oolong tea or Peach Tranquility herbal tea. Coupon expires March 31, 2013. For a list of Teavana locations, click here. Pingback: Happy Friday // Nine | Apparently.